Today is the era of modernization. 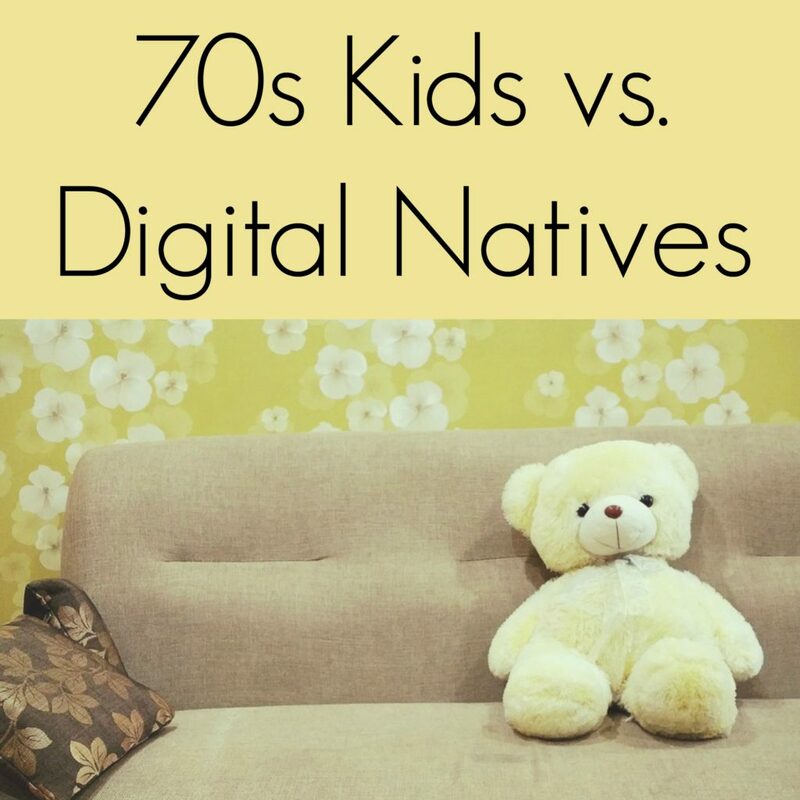 Researchers labeled today’s generation as “Digital Natives” as they were born in the era of digital technology. Digital devices such as computers, laptops, digital equipment are a part of their life. Since today’s kids are born in the digital age, they know how to operate digital devices at an early age. Today’s kid knows how to play online games, how to shop your favorite costume online, how to run the Google maps and how to get more Instagram followers. Apart from this, the digital natives have missed many charms that the 90s kid enjoyed. Since technology became standard and every child had access to computers and the internet, the trend of playing outdoor games has notably decreased. 90s kids used to play outside their homes which involved much physical activity, making more friends, learning to play in teams and a joy of the game. On the contrary, today’s kid is exposed to online games such as Pokemon, League of Legends, Counter Strike, DOTA 2, Battlefield, World of Tanks, Minecraft and much more. This makes the kids stick to their computer systems throughout the day, and there is left no charm for outdoor games. The 90s kid used to enjoy the fairy tales told by their grandmas. It was not just a point of storytelling, but it involved a complete set of psychological sessions in which the kids were told that they are owned and loved. Today’s kids are deprived of this divine thing called hide-and-seek and hopscotch and so of the interactionist approach to learning. There was a time when board games were widely played. It included carom board, Ludo, Trouble, Monopoly, 7 Wonders, etc. Today, Disney Lands are preferred over see-saw parks. UK’s government spent more than £300 million to promote the trend of sports in schools which was then surveyed and found that 33% kids are not taking part. Since kids often prefer to play online games and stick to them throughout the day, it was found that 38% of children remain online most of the time – which is not a good thing for their health, personality development, and intelligence. When they do not leave their PCs, they do not hang out or even make more friends. They have limited social interactions which affect them negatively though apparently, it looks healthy. Since the today’s kid loves and prefers screen time, the trend of spending quality time together is replaced with surfing internet, playing an online game or chatting on any social networking site. It reduces the level of interaction among parents and kids and their bond too. Due to the extensive use of internet and computers; kids are less creative, and their learning outcomes are also reduced. To cope up with this situation, the pedagogical scientists have introduced the UDL (Universal Design for Learning) in which internet and computer are used as media. This assisted in regaining the attraction of students and increase the outcomes of education. Guess Who and Say Anything were games that are 90s kid played. Apart from the entertainment value, it involved social interactions. You need to make teams, then play these games, which boosted the development of social skills among the kids. Today’s child is deprived of this game of interactions. Without denying the fruits of technology, it is seen that 90s kid was in many ways more rounded than the digital natives!